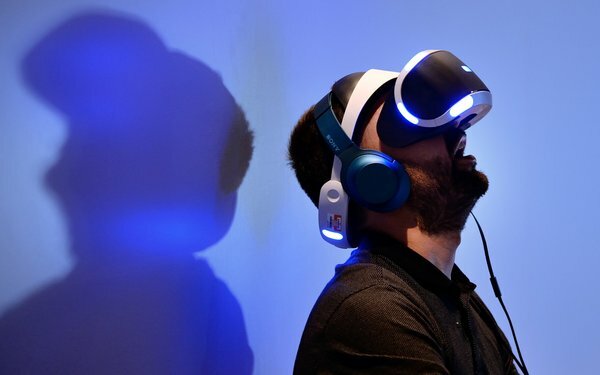 It may be slow in coming, but money from virtual and augmented reality is on the way. In the short term, consumer VR leads, but augmented reality is on track to eventually blow by it. Consumer VR will grow from $1.6 billion last year to $11.5 billion in 2021, according to a new VR and AR revenue forecast by Artillry Intelligence. Meanwhile, consumer augmented reality is projected to grow from $975 million last year to $15.8 billion within four years. The forecast includes devices such as headsets and smart glasses and excludes gaming consoles and smartphone-based VR. Consumer-focused VR will be hardware based in the short term, but more revenue will come from apps, games and long-form content, increasing the amount of money spent per user. Mainstream adoption of VR is expected to start next year, driven by price reductions by the major manufacturers Oculus, Sony and Samsung. Virtual reality will continue to lead until Apple introduces it smart glasses, expected in 2020. Revenue from augmented reality, popularized by Pokémon Go, will shift to coming from hardware sales as consumer smart glasses finally arrive. Last year, revenue from Pokémon Go reached $1 billion and Niantic, the company that makes it, received $200 million in funding to develop more games. When business applications of VR and AR added in, the revenue becomes significant. Overall global VR and AR revenue is projected to grow from $4 billion last year to $79 billion in 2021, a 160% annual growth rate. The most interesting factor here is the shift coming. Last year VR comprised 56% of revenue compared to 44% for AR. By 2021, it will be the reverse, with VR accounting for only 20% of revenue and AR 80%. Looking down the road for AR, Android has the advantage, with 2.6 billion devices compared to 600 million iOS phones in four years, according to Artillry. Over time, more consumers will be viewing the combination of a physical and digital world. And they likely will be wearing something to see that world, not looking down at their phones. 4 comments about "VR, AR Revenue Forecast: $79 Billion In 4 Years". Chris Sanborn from Sanborn, December 5, 2017 at 3:55 p.m.
Am the only one who feels like AR and VR deserve not to be clumped together? Chuck Martin from Chuck Martin replied, December 5, 2017 at 4:11 p.m.
Granted, they are different, Chris, but most research studies typically include both together. John Buzzell from You Are Here Labs, December 5, 2017 at 8:50 p.m. While valid, mobile AR ad spend (Snap, etc) is bound to distort the net new revenue for the medium overall. And, YES - AR deserves to break free. Chuck Martin from Chuck Martin replied, December 5, 2017 at 9:29 p.m.
Based on projections a few years out, AR will be a total breakout, John. This is consistent across numerous studies and forecasts. Yet to be seen is what new VR advancements will be introduced at CES in January, since there were lots last year. We'll be there to check them out.